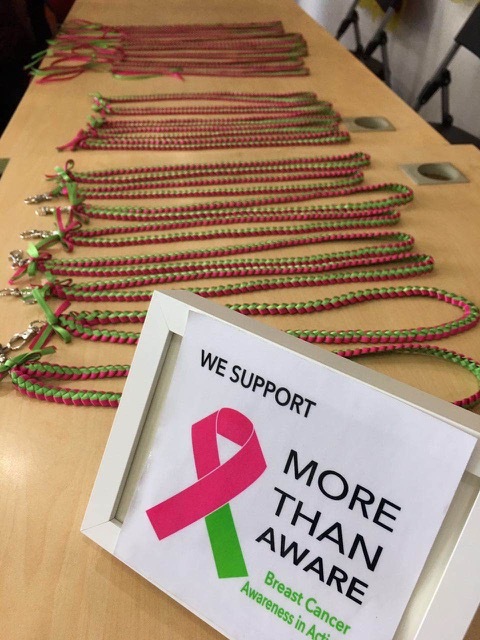 MTA volunteers and MTA thrivers are making beautiful pink/green lanyards. This is an art that the Japanese community is teaching the MTA community. 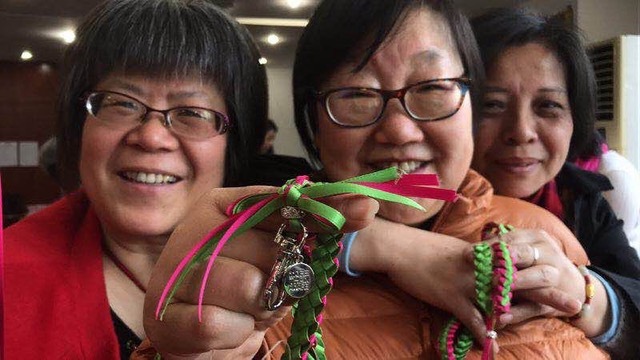 We call them Lanyards of Love simply because they are created with pure love in a Sisterhood community. 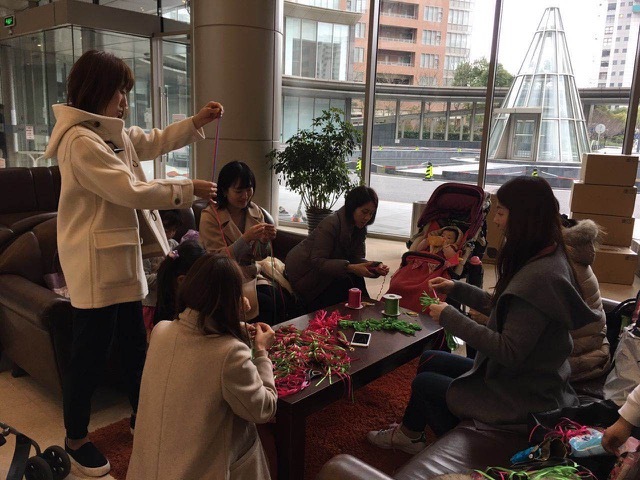 The first picture shows the lanyards of love being made by the Japanese community. We call these gatherings “MTA Ribbon Café”. 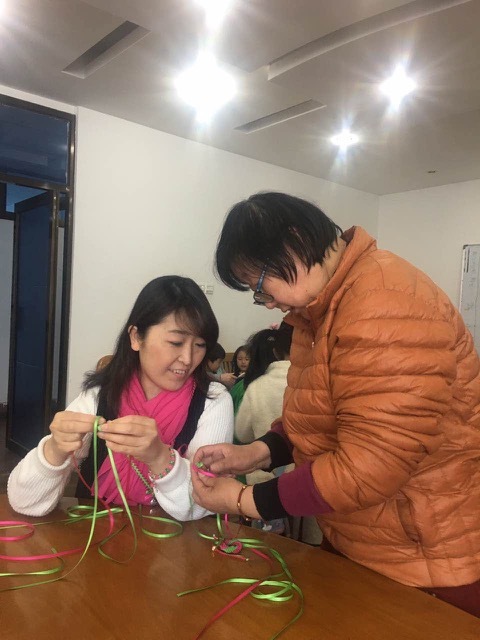 We teach each other how to make a lanyard so a group of Japanese volunteers can go to SCRC to teach thrivers. In preparation for the SCRC event, we met after school in the compound lobby. 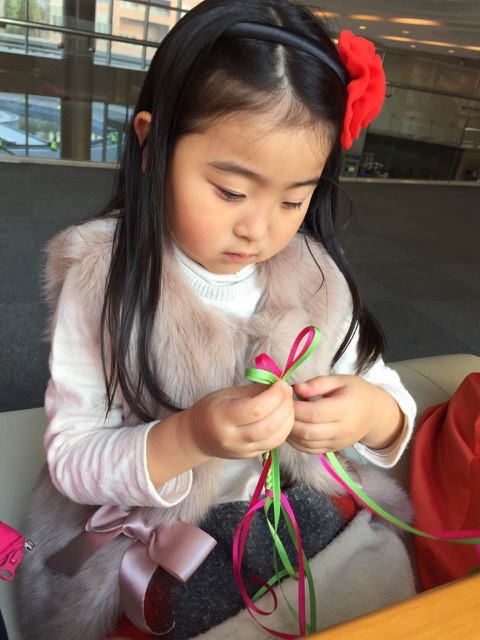 We prepared the ribbons and more Japanese sisters came and joined – even a little girl started to make one. 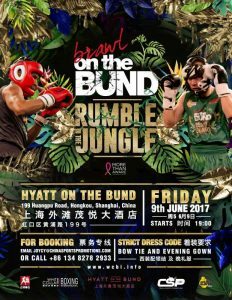 We were nervous that language and cultural barriers might make this a challenging task. 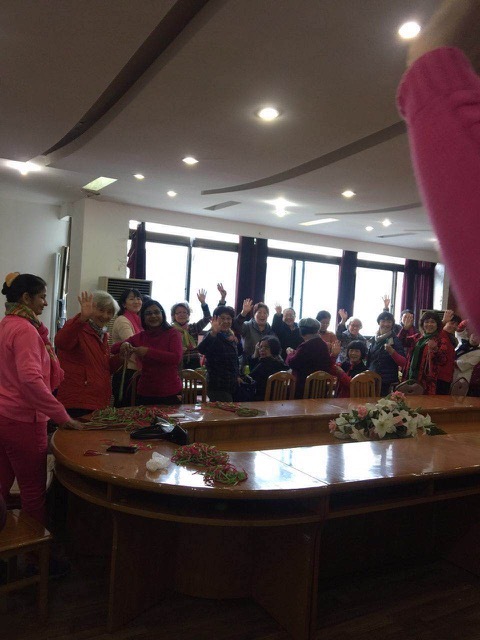 However, we were welcomed with cheers and hugs as we entered a room filled with 36 thrivers. 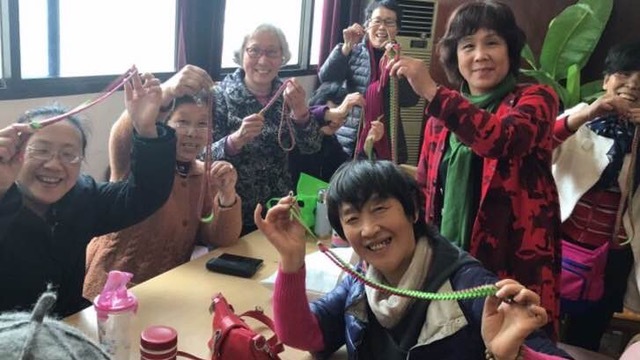 Eight Japanese sisters and three MTA sisters joined together to teach these thrivers how to make a lanyard. 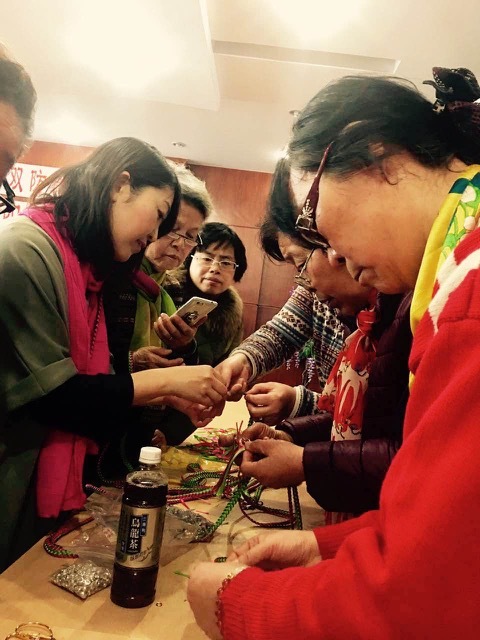 The group of sisters with thrivers worked hand-in-hand together, communicating perfectly throughout the process. 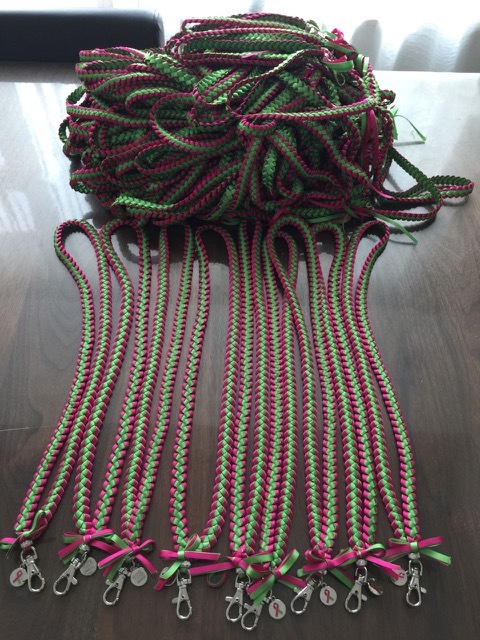 Within 90 minutes we had more than 20 lanyards. 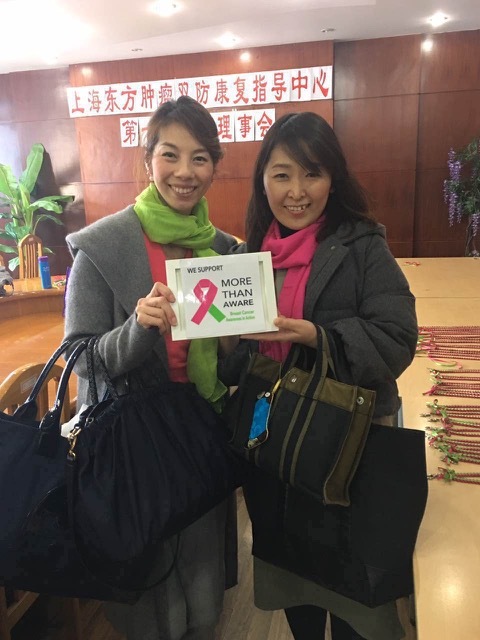 Two of the thrivers joined this activity before leaving for the hospital for their breast cancer treatment. Many of them stayed in the afternoon to finish them, and also took material home to make more. 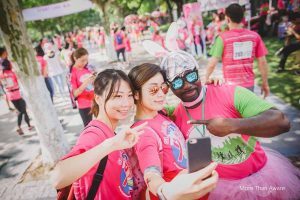 The two breast cancer patients with a More Than Aware volunteer. 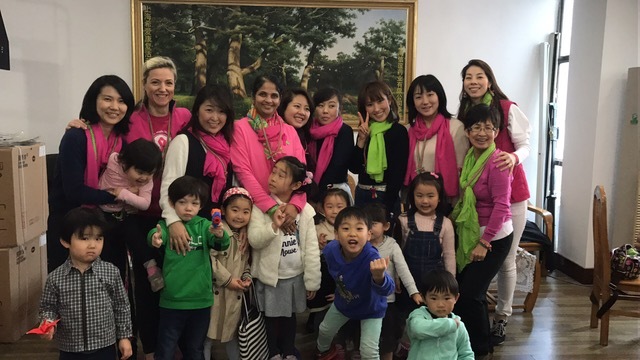 Being a part of the MTA sisterhood has inspired stronger ‘sisterhood’ among our Japanese community. 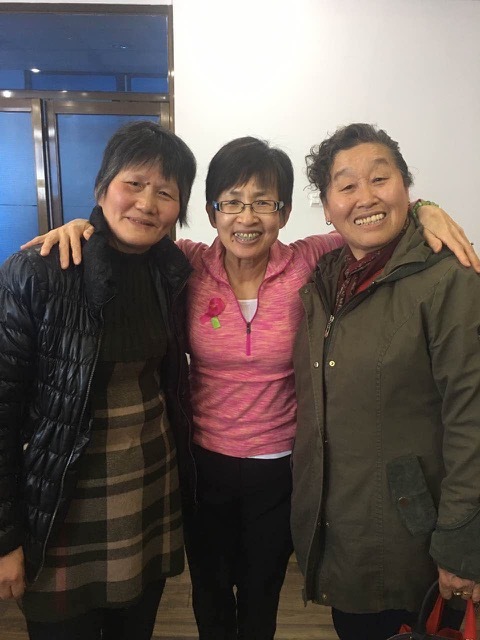 We felt warm and loved and EMPOWERED by thrivers and MTA sisters! 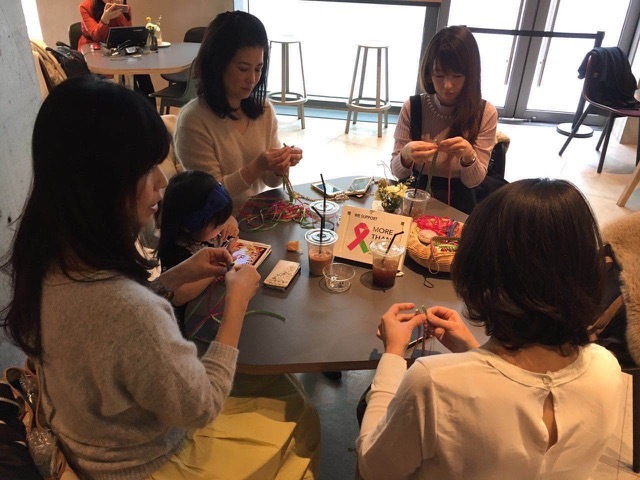 My friend, Yumi, started the ribbon café. 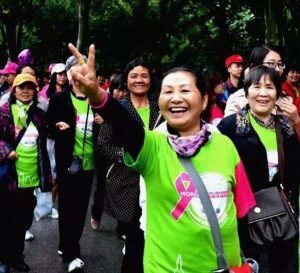 She and I both lost our mothers-in-law to breast cancer. 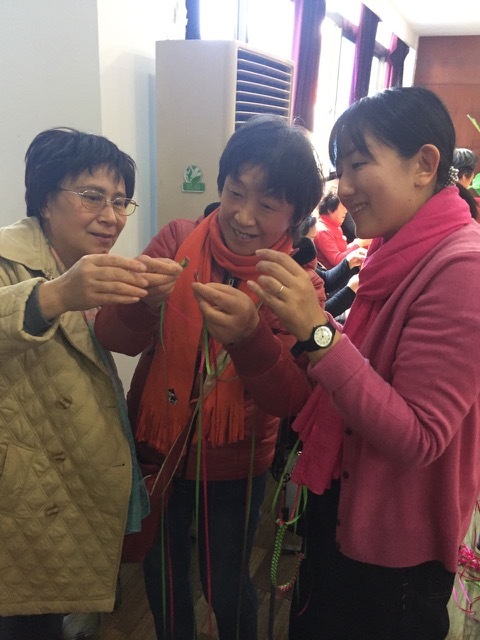 Working with thrivers on this Lanyards of Love project has allowed us both to feel close to our own mothers. 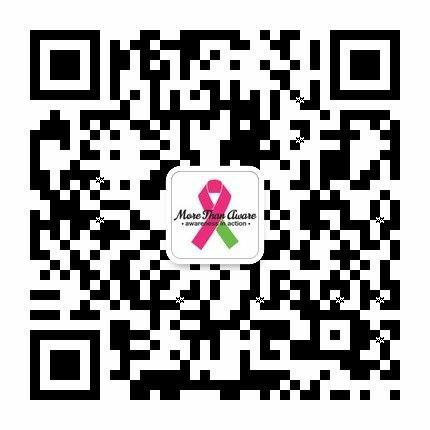 We will continue to serve through MTA ribbon café in honour of our mothers.